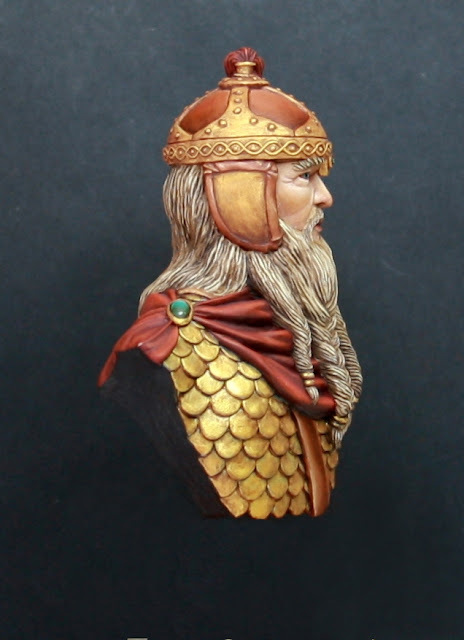 Es a escala 1/10, mide 70mm de alto. 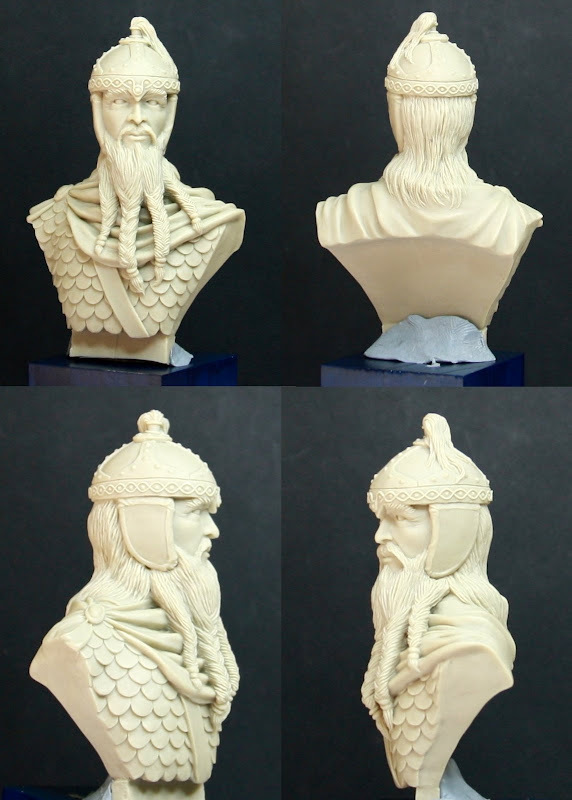 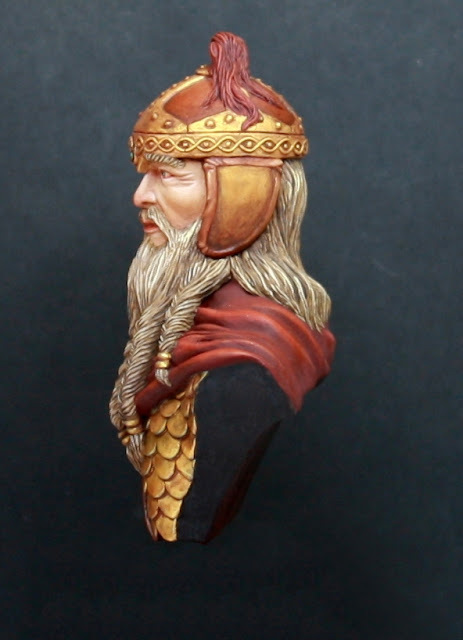 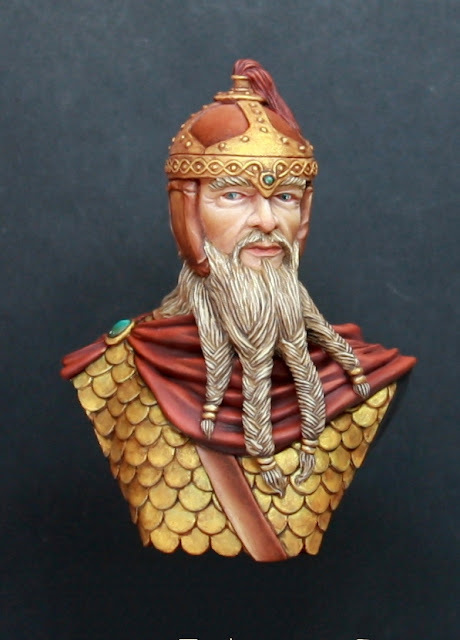 I have modelled a bust thinking in a dwarf but with visigoth armor, and i have made copies. 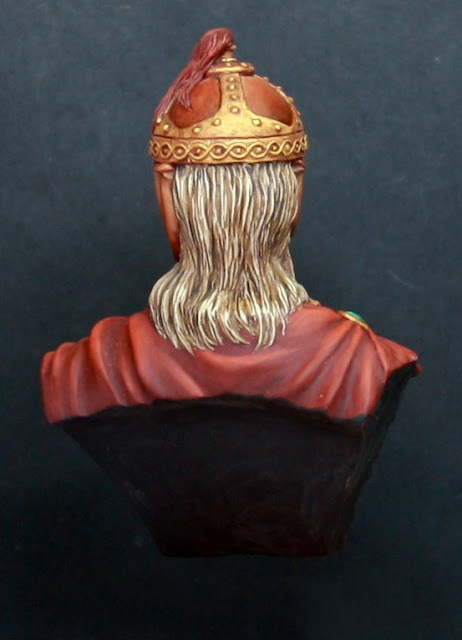 Is 1/10 scale, 70mm tall.